Human race exists because of nature. Everything we claim to be ours actually belongs to nature. If we take nature out of the scenario, then we can’t fathom any life on Earth. But, what have we done to repay the nature for what it has given to us? We are just ignoring nature shamelessly as if we own it. Humans should keep one thing in mind, i.e., they have no claim over anything in this world. They should be thankful to nature for each and everything. It is a well-known fact that our Earth is in a bad shape, and we as humans have played a major role in it. We have been using natural resources for our own benefits and comforts, and in the process of doing that, we have completely turned a blind eye to the void that has been created in nature. It is important that we acknowledge the fact that we have destroyed Earth because until and unless we do that, we can’t begin with the damage control process. We should take responsibility for our actions because our actions directly affect other living beings on this amazing planet that we are hell-bent on destroying. It may seem as harsh words for you, but, the time has gone for gentle reminders. Our planet needs us more than ever before, so we must do everything within our power to ensure that our upcoming generations see a green Earth instead of a concrete jungle that we continue to make. You need to check out paintings by Nyauw Gunarto if you want to know how much destruction man has done on this beautiful planet. His paintings on nature are not similar to paintings that you see hanging on the walls of art galleries. His paintings are intense and have a deep meaning that only a person with great intellect can understand. 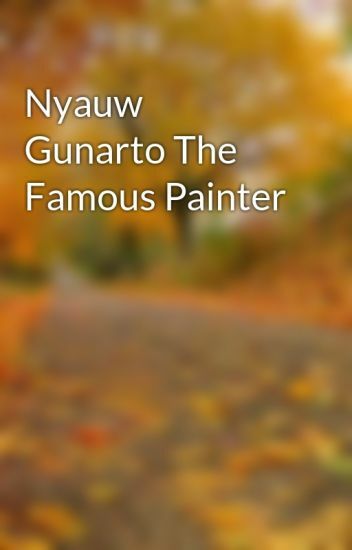 You can find more information about Nyauw Gunarto Semarang on the internet, or you can visit a nearby art gallery to check out his amazing work.